These diabetes accessories help make diabetes more manageable. This selection of diabetes products is designed to make the daily insulin injection routine easier for those suffering from diabetes. 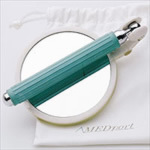 These diabetic accessories give the diabetic person independence and peace of mind in knowing that they can give themselves an injection without the help of a caregiver. 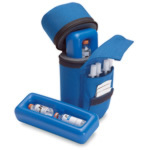 Our diabetic packs come in four handy sizes to fit everyone's needs. 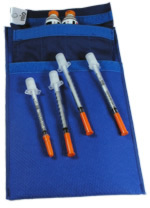 From the small hip pack to the larger "purse" type pack, diabetics can find just the right carrying case to store their insulin and diabetes supplies. 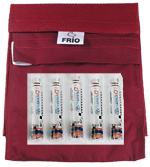 These diabetic packs while functional are both attractive and discreet. All of these diabetic products are unique and will help to make life easier for the diabetic.